Ababu Namwamba LPK party to support Jubilee in President Kenyatta statehouse Bid. - Bana Kenya News, Real African Network Tubanane. Home featured Ababu Namwamba LPK party to support Jubilee in President Kenyatta statehouse Bid. Ababu Namwamba LPK party to support Jubilee in President Kenyatta statehouse Bid. The former ODM secretary general Ababu Namwamba party, Labour Party of Kenya (LPK) has finally agreed to support the JAP with conditions. The national Chairman of LPK Dr Julia Ojiambo and the treasurer, Patrick Mutemi have revealed that the party will support president Uhuru LKenyatta in the coming elections. LPK will be the only party in the western region supporting the Jubilee regime. The party has reinstated Ababu Namwamba as the secretary general following wide consultation with other members. According to the two heads, Dr Julia Ojiambo and the treasurer, Patrick Mutemi, the members has agreed to join the race supporting president Kenyatta bid for staying in the state house for the next five years. The region has massively moved to NASA because all the key leaders in the Western region formed the super Alliance. 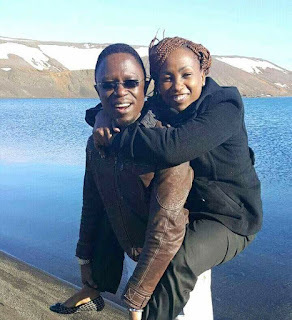 The LPK Secretary General Ababu Namwamba went under due to family matters. The western vocal leader finished himself politically after he was allegedly joined the JAP. The third force became active in only one week and disappeared and died.